Here in Taddletown, there is no discrimination. Dogs, cats, young, old, short, tall, everyone is treated just the same. If you grew up here, you probably don’t even notice that. For the humans, of course, things are different. They discriminate all the time, and so often it is for completely silly reasons, like not liking the colour of someone’s skin. One of the silliest, and saddest, reasons for humans discriminating against each other is HIV. There are some humans who wouldn’t want to be friends with a human with HIV, or who wouldn’t want to sit next to a human with HIV, or even shake hands with a human who has HIV. We know that HIV cannot be passed from human to human by doing any of those things. A human who has HIV is not dangerous to other humans. There is no reason for anyone to be afraid. That is why I am supporting the World AIDS Day campaign for zero discrimination, and I urge everyone in Taddletown, and beyond, to join me. A human who has HIV is just as able to be your friend as a human who doesn’t. Friendship is such a lovely thing, and it would be so silly to deny yourself the chance of making a new friend just because he has HIV. 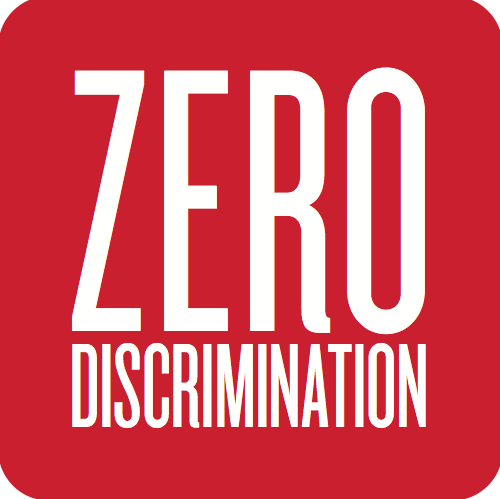 Zero discrimination – it is the sensible way to live.